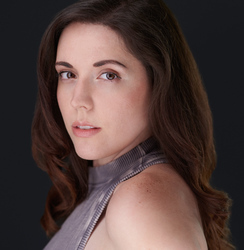 Amber Connors is a professional freelance voice actress specializing in recording for video games. Her most recognizable roles being in Dust: An Elysian Tail (available on Xbox & Steam) as the voice of Ginger, and in Heroes of Newerth (PC online game) as Death Metal Rhapsody. Amber is also known for voicing Android 18 and Schrodinger in Team Four Star's Dragon Ball Z Abridged and Hellsing Abridged. She is also the English Casting Director for the upcoming Indonesian Horror Game "Dread Out" as well as voicing in it and helping with script localization. Miss Connors also does script writing for TV commercials and the like.